Long established as the UK's biggest advertising agency, as well as arguably its most respected creative powerhouse, AMV is also the local outpost for BBDO. Having held a minority stake since 1991, the American network acquired the balance of the business in 1998. Omnicom revitalised the flagging London outpost of DDB in early 2012 by merging it into newly acquired indie Adam & Eve, itself a breakaway from RKCR/Y&R. The combined agency, run by A&E's senior team, is arguably the single most admired creative agency in the UK at present. McCann Erickson has been a pillar of the UK advertising industry for over 90 years. The London office forms the hub not just of McCann Worldgroup's European network, but also of Britain's biggest regional advertising network, spanning four cities in the UK and Ireland. Now part of Publicis Groupe, Bartle Bogle Hegarty (or BBH) has long ranked as one of the world's top creative agencies, with a reputation for stylish, elegant advertising. Though now retired, creative chief John Hegarty is still the UK's best-known ad man after the Saatchi's. VCCP is best known for its work for key clients O2 and Comparethe market, for whom it created the hugely popular meercat brand mascots. 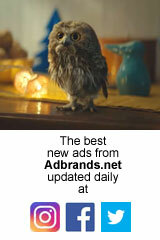 Steady expansion and a string of account wins catapulted the agency into the UK top ten for the first time in 2011. Leo Burnett London is the US advertising network's biggest international office, and now one of the UK's leading agencies. It is particularly good at delivering a distinctly British twist to creative work for network clients such as McDonald's or Kellogg. Grey London is one of that network's biggest international outposts and was its first office outside the US in 1962. It has undergone an extraordinary creative rebirth since the late 2000s, and a strong new business performance made it WPP's biggest agency in the UK for the first time in 2015. Ogilvy Group UK was until 2017 the umbrella for a collection of ten separate units led by ad agency Ogilvy & Mather, all of which worked together to offer fully integrated "360 Degree Branding". Those separate units have now been merged into the main agency to form a single cohesive unit. WCRS is the main advertising agency within marketing group Engine. Since 2005, it has added to its resources with the acquisition of a string of marketing services companies involved in interactive, branded content, sponsorship and direct marketing. Although it maintains a lower profile than some of its peers, Publicis London is one of the worldwide network's main hubs. The group has strengthened its direct and digital offering with several acquisitions including acclaimed independent Chemistry in 2011. London was the birthplace of what is still the world's most famous advertising brand, and it remains a key outpost in the Saatchi & Saatchi network, even if the HQ has now relocated to New York. Performance has steadily improved in recent years. Karmarama has been one of the fastest-growing independent agencies in recent years. In 2012, it raised funding to expand still further and offer a full range of marketing services. Its purchase by consultancy Accenture in 2017 sent a shockwave through the UK industry. TBWA London was one of the country's most admired agencies in the 1990s and early 2000s. However the departure of three key managers in 2005 prompted several years of turbulence, which the agency is only now beginning to resolve under a new management team. London's coolest agency still, Mother continues to make waves and win plaudits for its creative work, even if it has largely abandoned the quirkiness for which it was once known. In an industry dominated by multi-brand marketing groups, Mother is now the UK's biggest indie. The London arm of Y&R was known until 2017 as RKCR/Y&R following a huge successful 1999 merger with Rainey Kelly Campbell Roalfe. However, performance at what was once the UK's #3 agency has flagged dramatically, leading to a string of client departures. Wieden & Kennedy's London office is at its best when delivering stylish, quirky creative work. The capture of the Tesco account forced a change of style, to which the agency was not best suited. That account later moved on, to be replaced by Sainsbury's. The & Partnership is the new name for what was previously CHI & Partners. It was one of the most successful new agency launches of the early 2000s, earning the admiration of clients for effective creative work and an enviable new business record. It's now part-owned by WPP. J Walter Thompson is long established as one of the giants of the UK industry, responsible since its creation for a string of much-loved campaigns. However, after several years of strong growth, it has suffered recently from weak performance, slipping steadily down the rankings. The second agency founded by the world's most famous admen, M&C Saatchi has built up a strong position for itself since formation in 1995. It ranked for many years among the UK's leading agencies until the loss of two key accounts in 2014 pushed it down the rankings. FCB's struggling London office was given a new lease of life in 2013 with its merger with plucky independent agency Inferno. That led to a sharp improvement in performance. In 2014 it returned to the UK Top 30 for the first time in five years. The old Euro RSCG, now rebranded as just Havas, traditionally comprised the main ad agency in London as well as various diversified marketing services and media shops. These have been gradually combined to create a single full service business. MullenLowe is the latest of several reincarnations of the Lowe network. It replaced DLKW Lowe, a successful merger of the struggling Lowe London office with indie DLKW. The combination with Mullen has been less productive, prompting the loss of several managers and clients. The main London outpost of Cheil has gradually overtaken acquired UK agencies Iris and BMB to become the Korean agency's biggest UK subsidiary. A key contributor to billings is cornerstone client Samsung - also Cheil's controlling shareholder. Once one of the UK's hottest - but also most idiosyncratic - agencies, St Luke's rather lost its way in the 2000s. It has gradually reclaimed its stability with a less radical philosophy and regained a position among the UK Top 30 in 2013 for the first time in almost a decade. Originally, in effect, the inhouse agency of satellite broadcaster Sky, Brothers & Sisters has gradually transcended those beginnings to build a portfolio of other clients. However Sky remains the cornerstone of the business. Integrated agency Iris established an impressive global network while still privately owned, but has more recently traded up to become one of several separately branded satellites of the Samsung-controlled Korean marketing agency Cheil. Lucky Generals was formed in 2013 by the management team of MCBD following its ill-fated merger into digital agency Dare. They staged a remarkable comeback before selling out to TBWA London. LG remains separate for now, but founder Helen Calcraft now oversees both agencies. The London outpost of US agency Fallon was for a few years in the 2000s the UK's most admired agency as a result of startling work for Sony and Orange. The loss of key staff caused it to crash and burn in the 2010s before staging a modest comeback since 2015. Home is now the UK's biggest regional marketing agency. The main agency in Leeds is supported by satellites in London and Edinburgh, as well as an office in Gibraltar to service several gambling and financial services clients headquartered there.